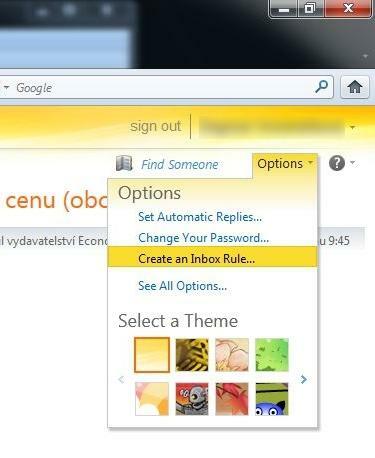 Choose: “Options” and “Create incoming email rule”. 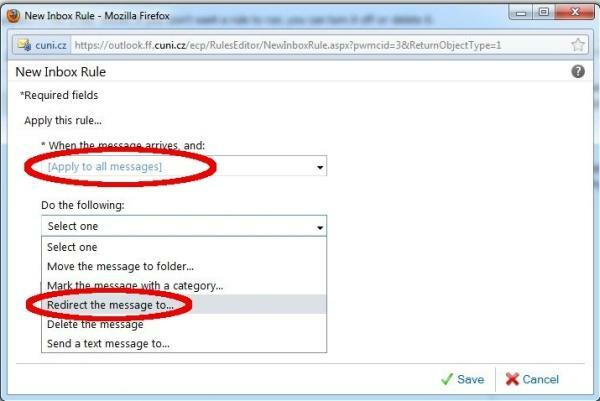 In the first box choose “Use for all messages”; in the second box choose “Reroute message to”. 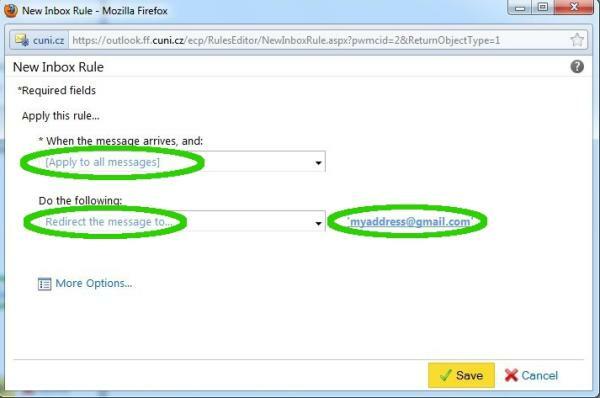 Write the address to which you want to have the email redirected into the box “To whom”. 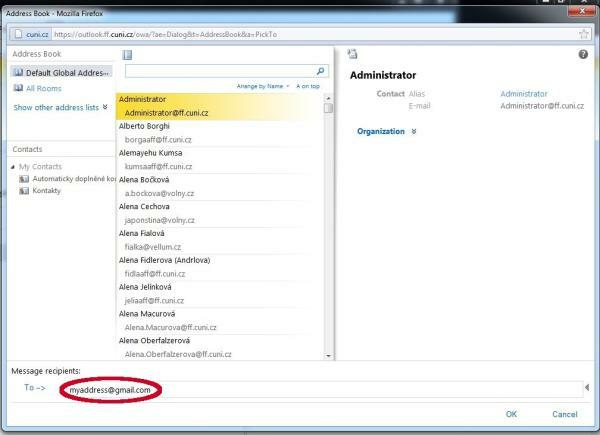 Check whether you have filled in all the boxes and press “Save”. 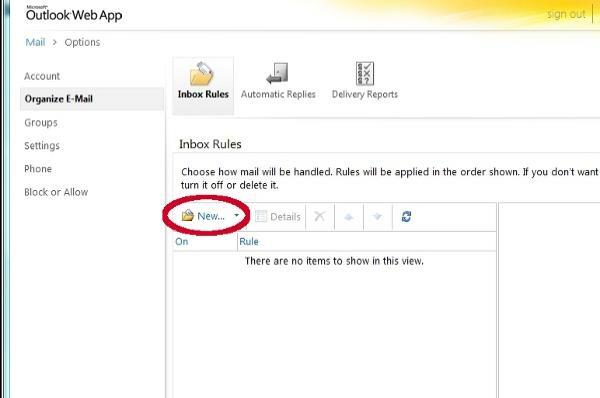 Confirm that you want to initialise the rule with all messages.